Debossing is a process by which the paper is indented with a design or border. This is a beautiful way to enhance your Invitations. Embossing is where the print is raised on the paper with a design or border. 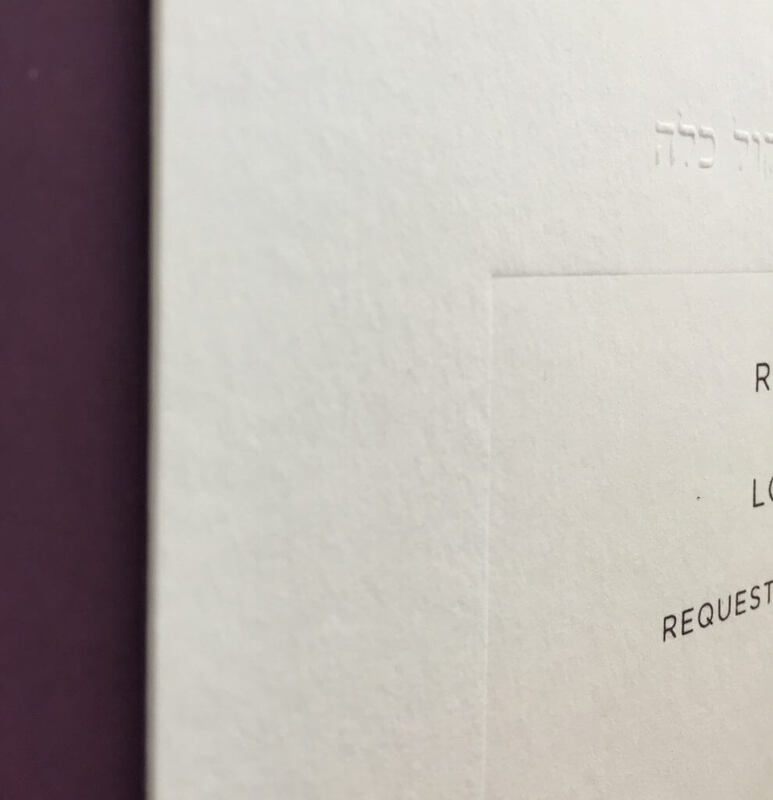 Together Embossing and Debossing create a luxurious finish to any invitation and can also be used for other items including business cards and stationery.